This collection of short stories and poetry set in post-Ceauşescu and post-Cold War Romania takes readers on a journey through the author’s home town of Brăila in the east of the country. Exiled Romanian author Bogdan Tiganov explores social, religious and political issues with insightful frankness, through an array of colourful characters and narratives focusing on this newly, supposedly liberated world. 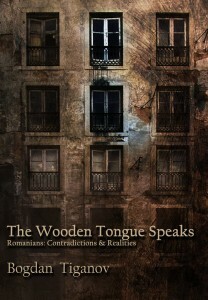 The Wooden Tongue Speaks – now available in paperback!